Keep your pup busy while you are away. Is your pup stressed out from being left at home alone all day? Maybe bored enough to eat the couch, your favorite shoes or the dining room table? 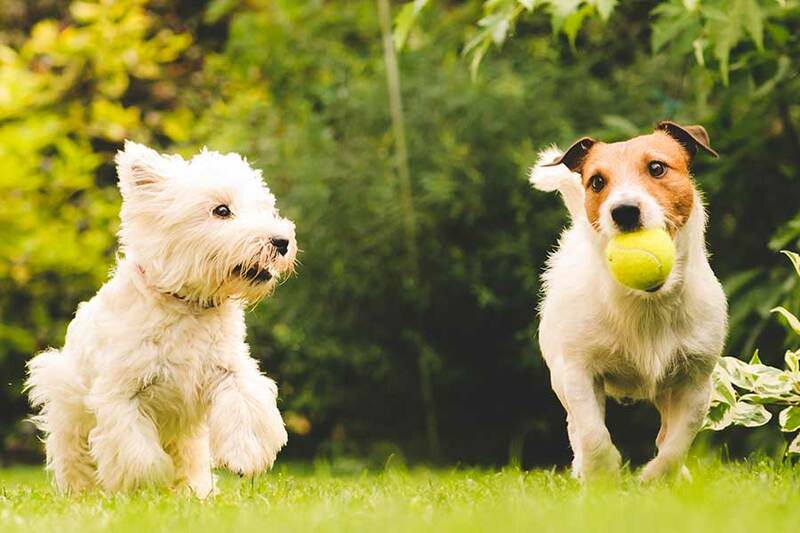 Consider our doggie daycare to keep your pooch busy while you are away. We provide doggie daycare at $4.00 an hour for any size dog. If the animal stays six hours or more they will only be charged the daily rate of whatever weight category the animal is in. They will have the opportunity to run and play in the large exercise lot. They will be thoroughly brushed and loved as they are at home. Please bring their favorite toy. Talk to our staff about all the details.